The Vikings announced on Wednesday that center Pat Elflein will begin training camp on the Active/Physically Unable to Perform (PUP) list. Once cleared by doctors, Elflein will be able to begin practice immediately. Elflein is entering his second season after being a third-round draft pick out of Ohio State in 2017. He started 14 regular-season games and two playoff games before suffering a fractured ankle in the NFC Championship against Philadelphia. The 23-year-old was named to PFWA’s All-Rookie team for his play in 2017, as he helped Minnesota’s offense finished seventh overall in rushing just one season as the Vikings ranked 32nd in that category. 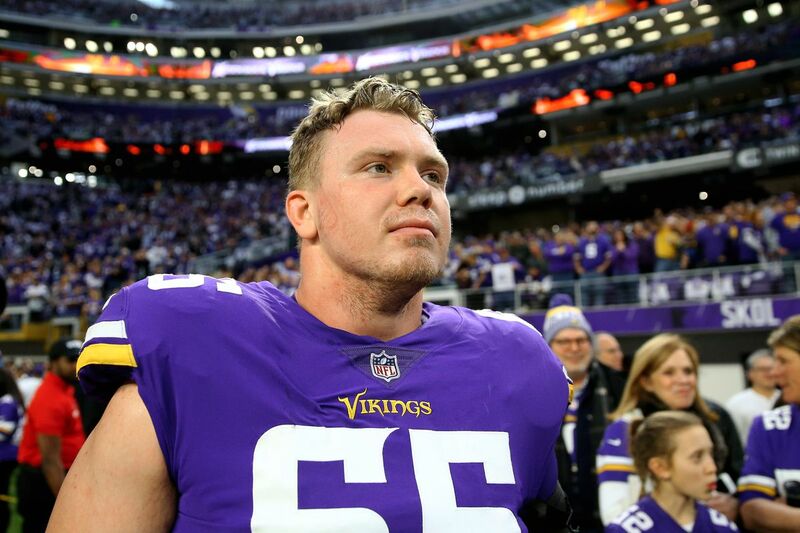 After undergoing surgery to repair a broken ankle in January, Pat Elflein had shoulder surgery in February after sustaining an injury in Atlanta last December. Said the back to back surgeries left him immobile for a bit while he recovered. He's says he's still waiting medical clearance for both the ankle and shoulder but didn't discuss timeline. What I've been told is these injuries aren't expected to keep him out long, one source saying he'll be good to go in the near future. Drafted in the third round out of Ohio State last year, Elflein was an immediate starter as a rookie, missing two games to a shoulder injury. He hurt his ankle in the NFC championship game. The Vikings signed rookie center J.P. Quinn on Tuesday, before placing Elflein on the PUP list Wednesday. Elflein would need to be cleared from the PUP list before he can take part in team drills in training camp.